It’s mason jar Sunday! Once a month a group of mason jar loving bloggers and I share a seasonal craft with you because, really, you can never have enough mason jar crafts right? 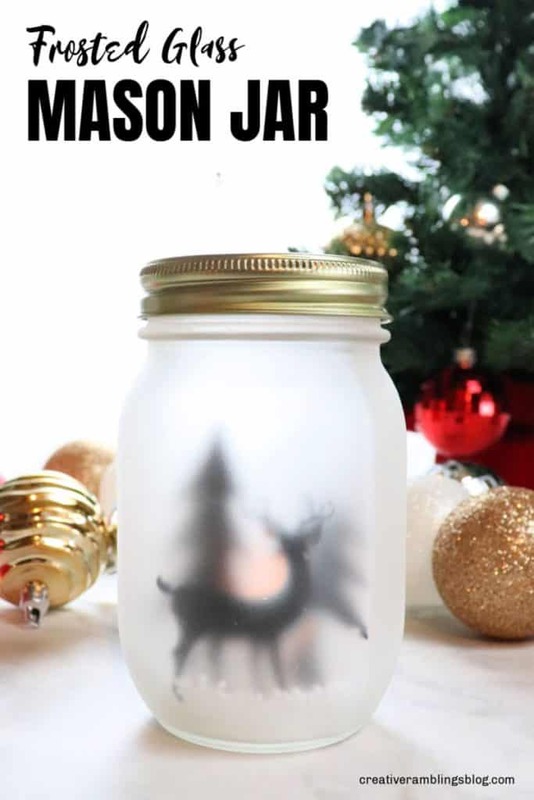 This month I am sharing a frosted glass snowy mason jar winter luminary. This will work with my decor this Christmas and into winter as long as the cold weather choses to stick around. Take a look at how I made this winter luminary with pretty woodland silhouettes, then scroll all the way down to see the other Christmas mason jar projects. Two years ago I made these snowflake luminaries using a similar process. I made this snowy mason jar winter luminary using the same frosted glass spray paint but I chose to decorate the inside a bit more. Here is what I used to create this winter luminary. 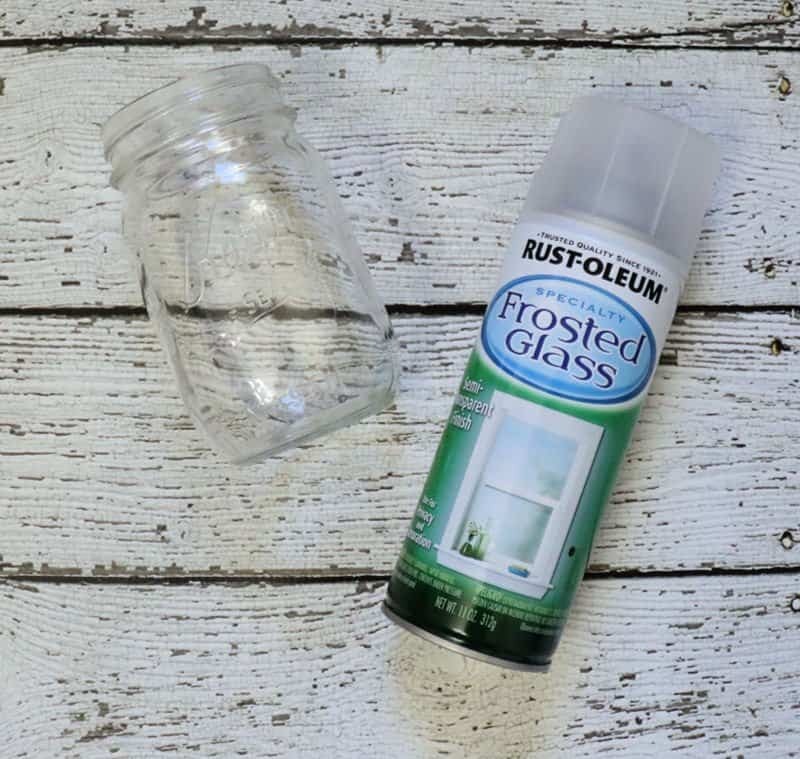 I started by spraying a few light coats of frosted glass paint onto the mason jar. This has such a cool effect, as it dries the paint changes from clear to a soft frosty look. 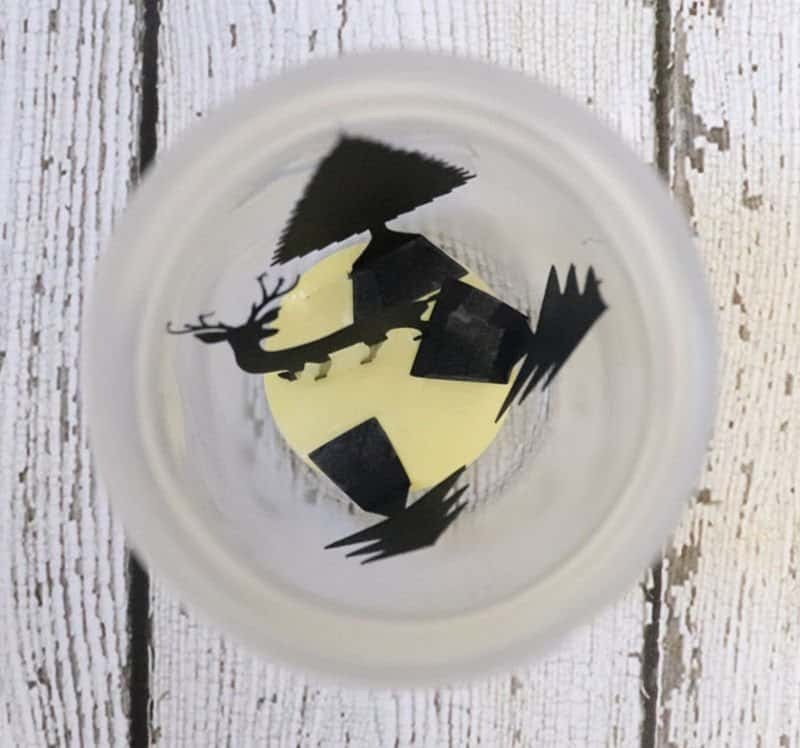 While the jar dried I designed and cut a few trees and a deer from black cardstock using my Silhouette. I made the stems of the trees long and thick so I could fold and anchor them to the bottom of the jar. 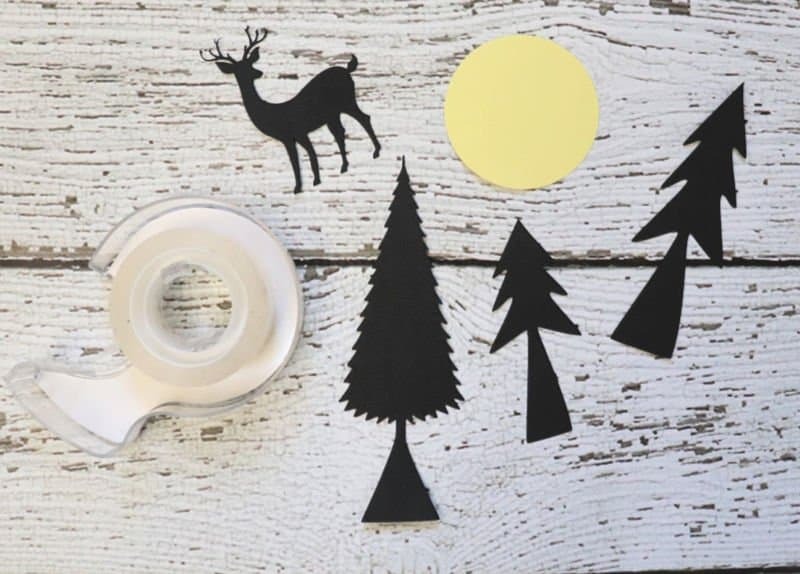 Using a paper circle and some tape, I bend the bottoms of the trees and taped them to the circle to create a woodland scene. Then I dropped the scene into the mason jar to create a winter luminary. To give this winter luminary a snowy effect I added some faux snow from Dollar Tree and a battery powered tea light. 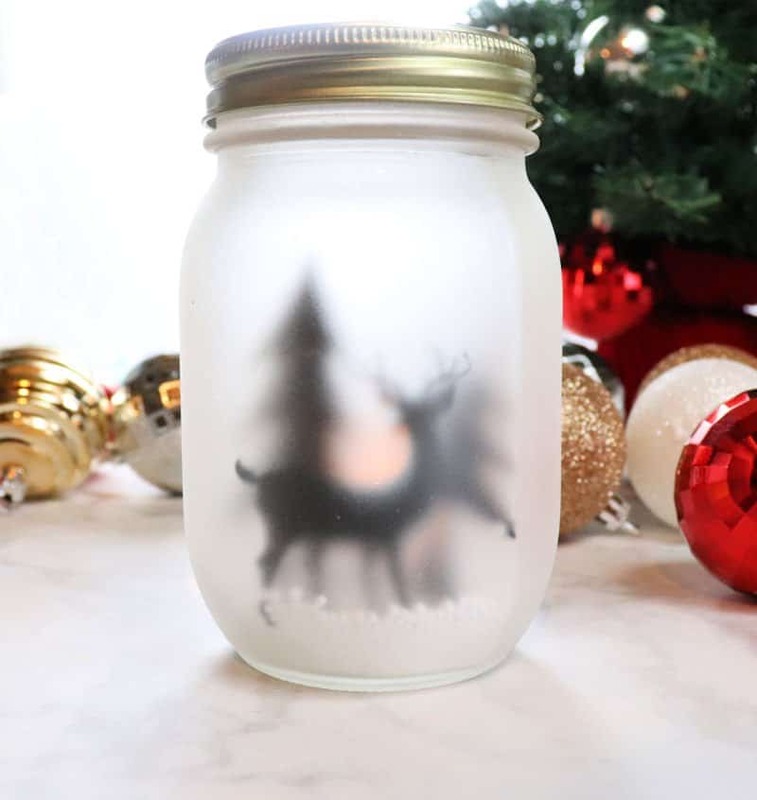 The end result in a frosted glass mason jar that reveals a hint of trees with a deer standing among them. It’s a peaceful scene that works perfectly with my natural Christmas decor. If you love mason jar crafts you are going to love these projects! This is really cute. 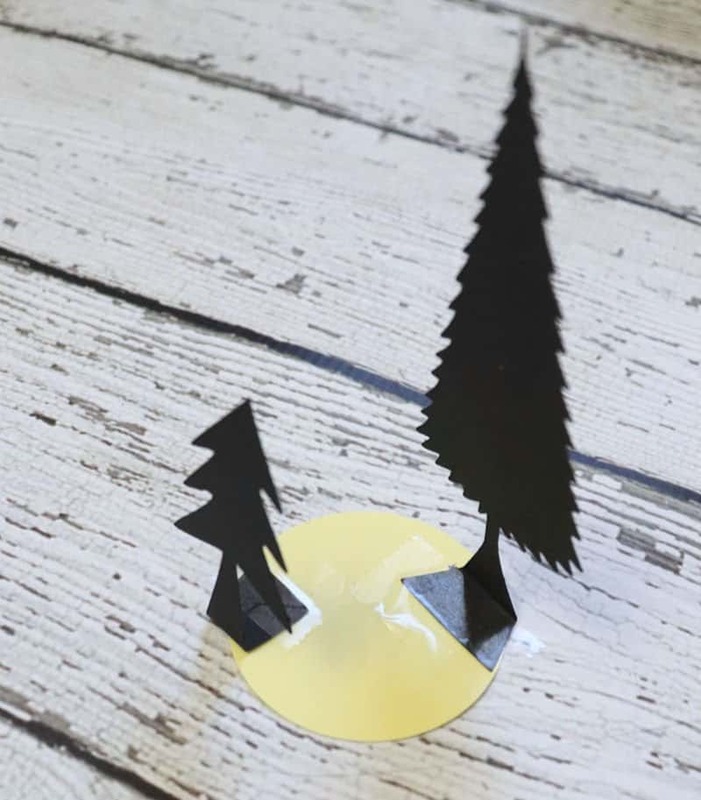 I love that frosted glass spray paint but those little cut outs are super fun. They look like they are far away in a wintery scene!